The Essential Jay Macpherson / selected by Melissa Dalgleish. Erin, ON: Porcupine's Quill, c2017. This is another volume in Porcupine Quill's Essential Poets series, a series I've enjoyed over the years for its beauty and cohesion of design. Also because there have been some pretty great poets featured, from my favourite, PK Page, to this new volume of poems by a contemporary of Page but a poet I've never read despite my Canlit degree -- Jay Macpherson. 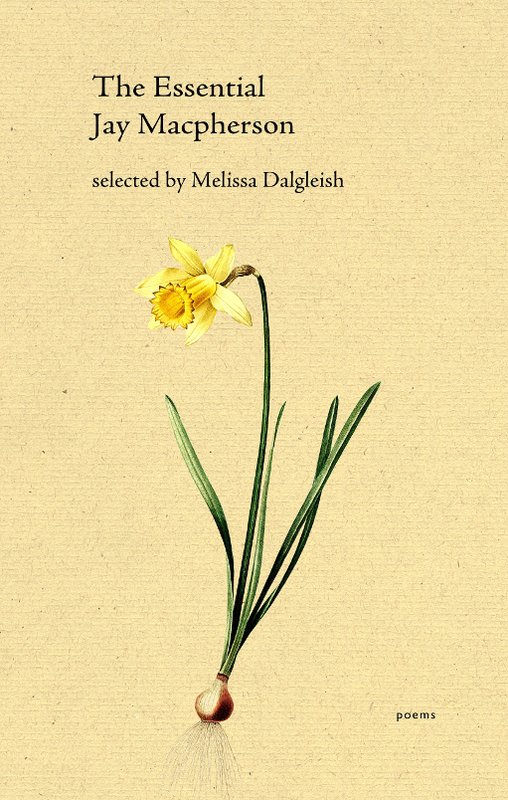 I was delighted by this collection and by the discovery of a clever and witty poet whose style reminds me in some ways of the arch humour of Margaret Atwood. In the publisher's blurb and the intro to this book, they introduce Macpherson as "one of the leading figures of Canada’s mythopoeic modernist movement." She was acquainted with Robert Graves, influenced by Jung and by myths biblical, classical and Sumerian, and had a long-standing relationship with Northrop Frye. She also taught, and influenced generations of Canadian poets, like Atwood. I enjoyed these concise, deliberate poems; wry, clever, referencing literature and the bookish past, while yet being freshly modern and told with a feminine slant. She doesn't shy away from topics like racism in the academy (The Ballad of Dr. Coolie) or questions of female autonomy. There is much solemn mythologizing, but also a lot of quick humour and language play. I think I could probably read these over again a few more times before beginning to get a grasp on them -- it feels like there is a lot more to them to explore. When I first opened the book, I started at the end and flipped toward the front. Thus the first poem I read is the final one in the book, a very brief and funny poem called "A Winter Night (Long After Lampman)". Those who've studied Canadian poetry and had Lampman's poems of rural visioning and nature worship as part of your experience will most likely find this as entertaining as I did, as Macpherson takes the natural world extolled by Lampman and neatly turns it on its head. Anyhow, if you've never read one of the Essential Poets in this series, I do encourage you to take a look. This volume, as well as PK Page and Don Coles, have been favourites of mine. The beautiful paper, covers and endpapers make a lovely object as well. 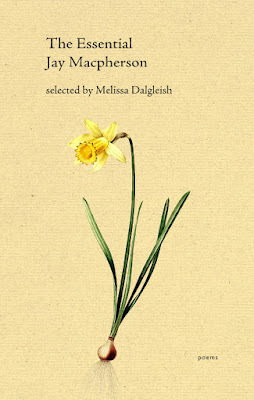 You can also read a couple of Macpherson's poems at the publisher's website, including her first poem ever published, Non-Identification, which was published when she was fifteen. I didn't know anything at all about her before I saw this book. I can see the influences that affected them both, in their style. This sounds like a lovely book, content wise and design wise. Very nice review! This whole series is so nicely produced! And it's been introducing me to some Canadian poets I have sadly missed in my reading thus far.